At The GARAGE Abbeymill we provide wide range of services, details of which you may find below. At The GARAGE Abbeymill we can carry out full MOT work and servicing for car, van, trucks and trailers. 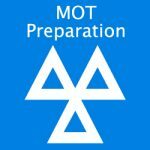 If the vehicle doesn’t pass the MOT test, it will be explained why, and proper estimation for repair issued. Our priority is our clients’ overall satisfaction. At The GARAGE Abbeymill we also have full tyre bay. We offer tyres for all vehicles. 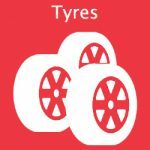 Our range of tyres and prices are very competitive. Winter and summer tyres are also available. Flat tyre? – we repair tyre due to puncture. At The GARAGE Abbeymill we offer wheels alignment to manufacturer’s specification. 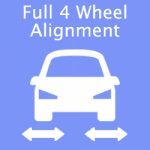 We use wheel alignment equipment to assure our clients about the vehicle safety and good performance in conduction with longer tyre lifespan. 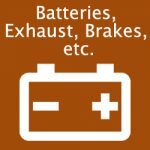 At The GARAGE Abbeymill we replace batteries, exhausts, suspension, and brakes. We offer these products and services for car, van, trucks and trailers. 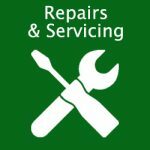 At The GARAGE Abbeymill we offer repairs and servicing. Firstly, we try to repair and not to replace parts to minimise customer’s budget. We can repair: cars vans, trucks, plant machinery all to a high standard. At The GARAGE Abbeymill we also carry out full diagnostic checks on all makes of cars and vans. 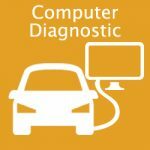 Our computer diagnostic test will found the car performance issues and reasons of these issues. 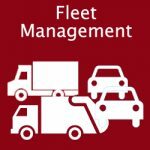 At The GARAGE Abbeymill we offer a fleet management services. These services with mobile back up to cover allow our clients’ vehicles moving smoothly. Please note: we accept all major credit cards.